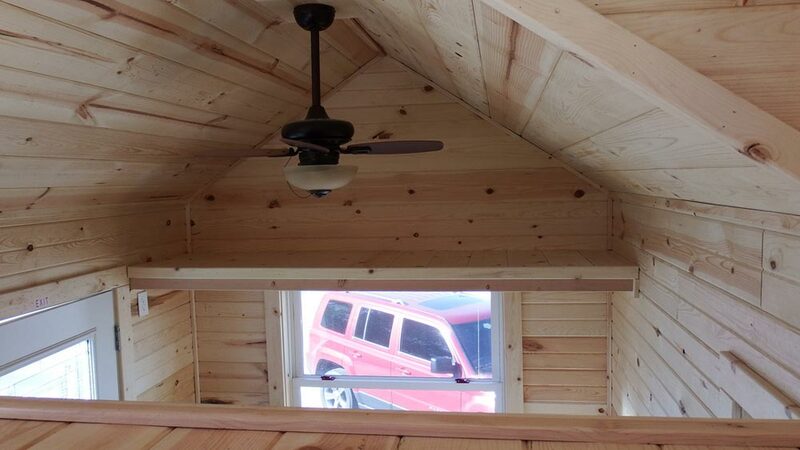 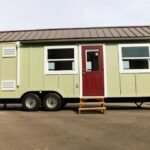 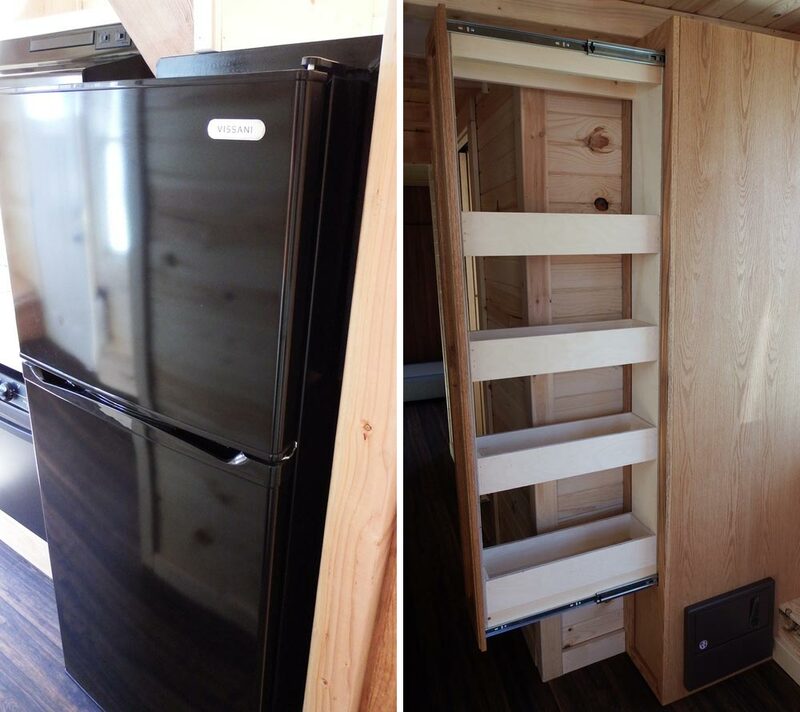 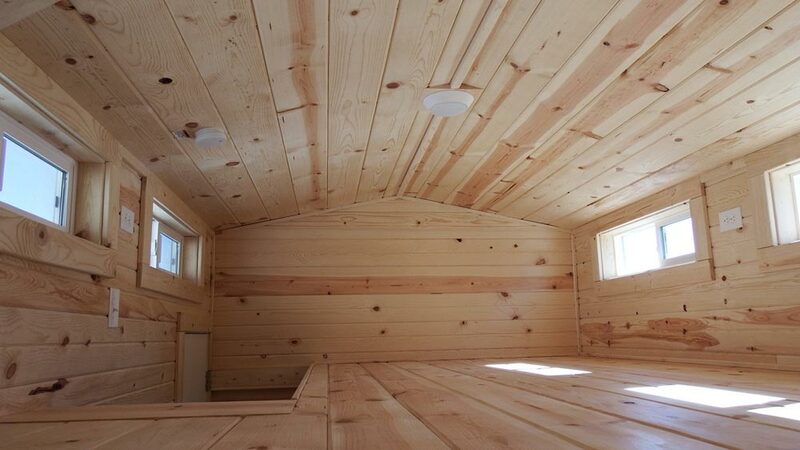 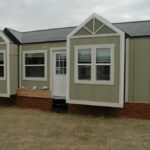 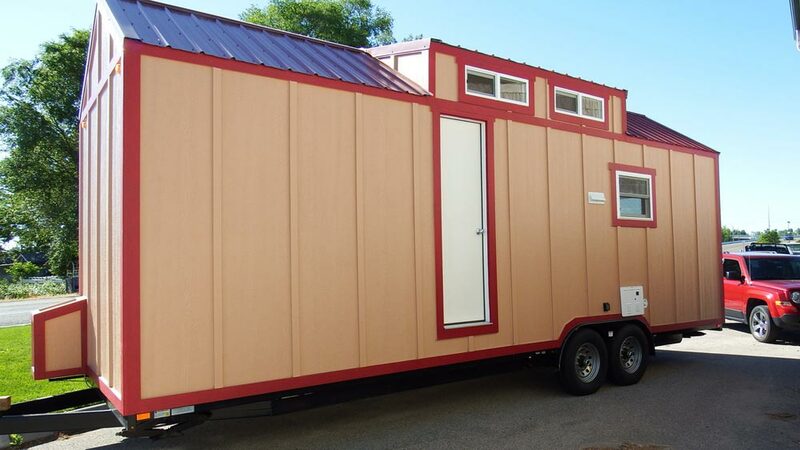 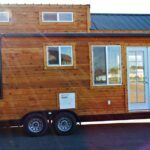 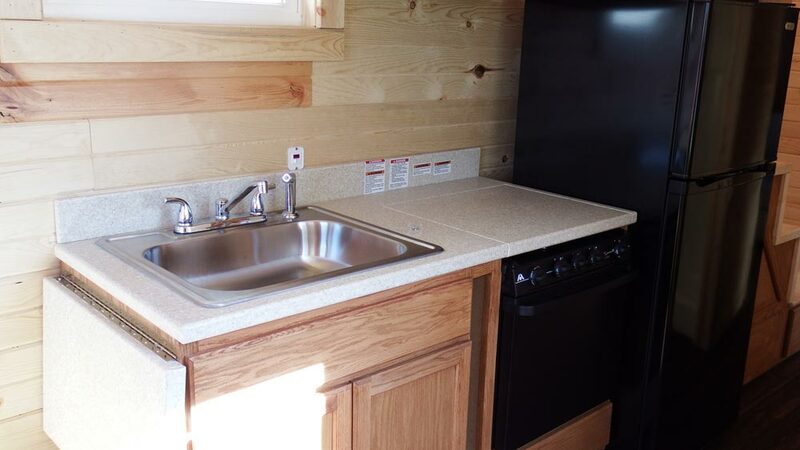 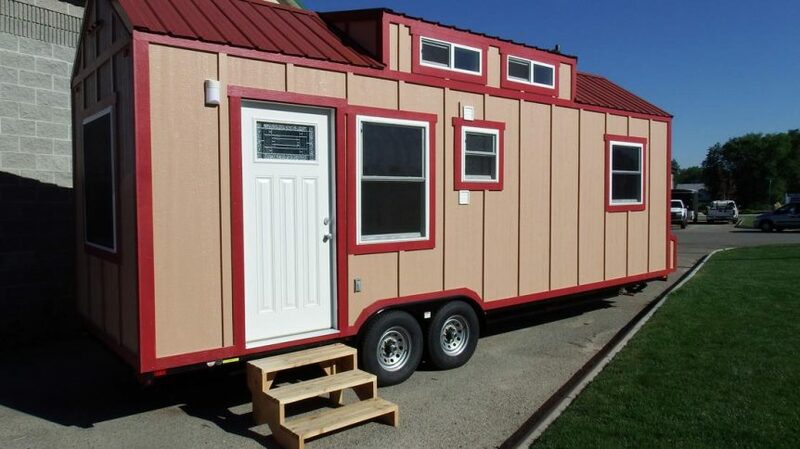 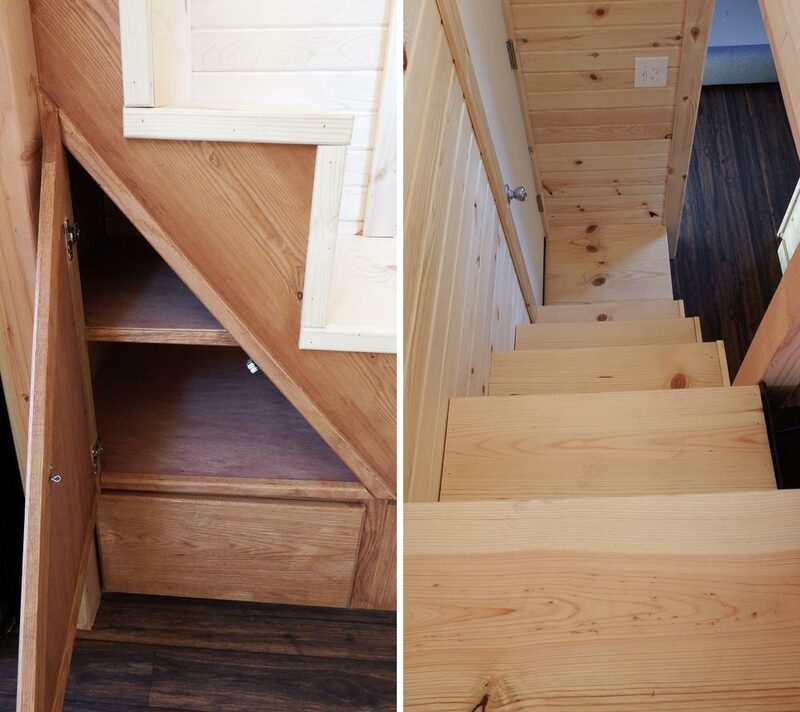 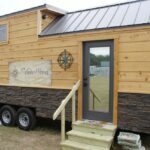 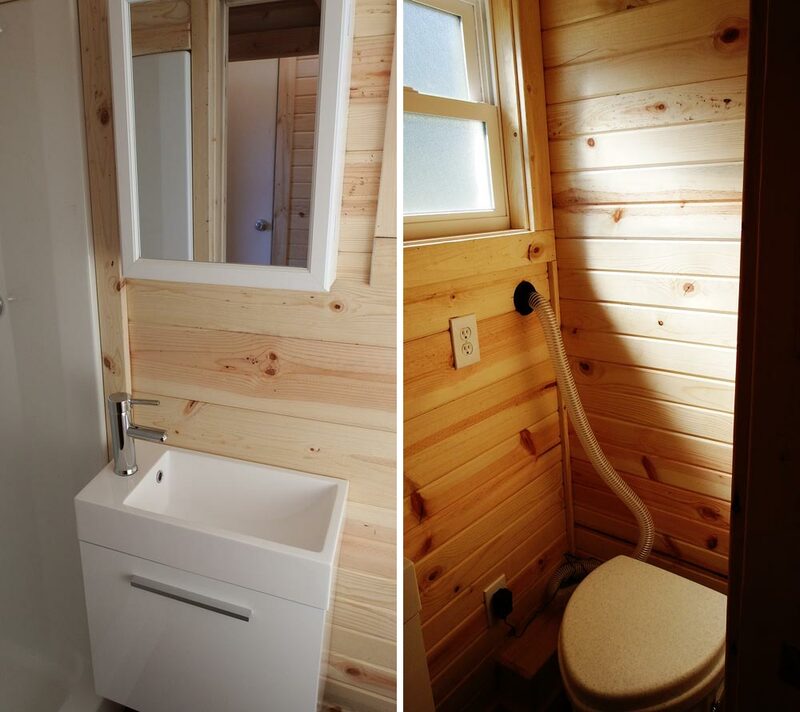 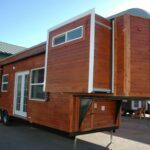 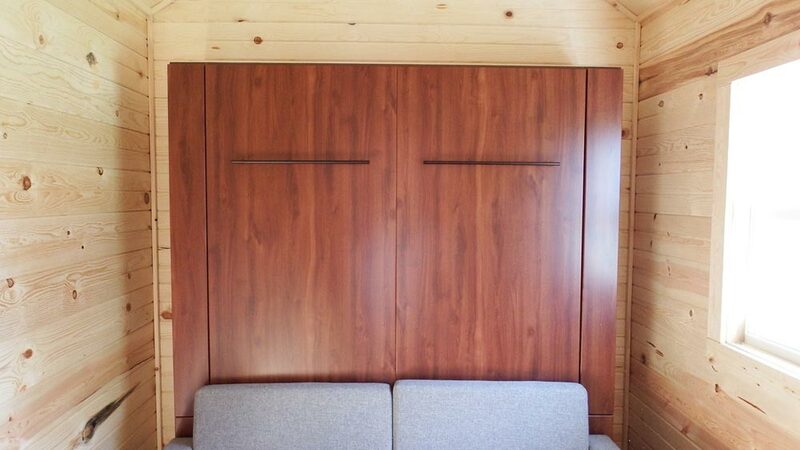 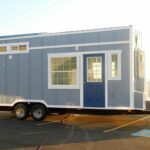 This two-tone tiny house from Tiny Idahomes features a Murphy bed/sofa and a Murphy desk. 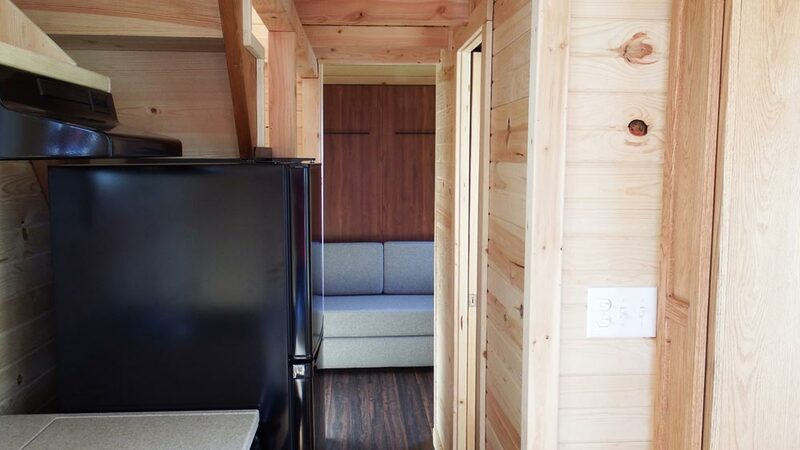 The L-shaped couch w/storage area pulls down into bed and the custom made Corian desk folds down when not in use. 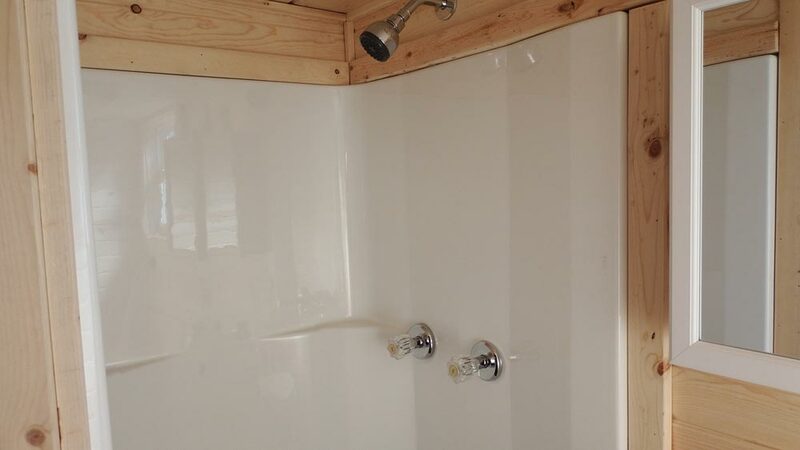 Inside you’ll see distress brown hickory flooring, tongue and groove walls, white Arcadia cabinets, butcher block countertops, and a 36”x36” fiberglass shower in the bathroom. 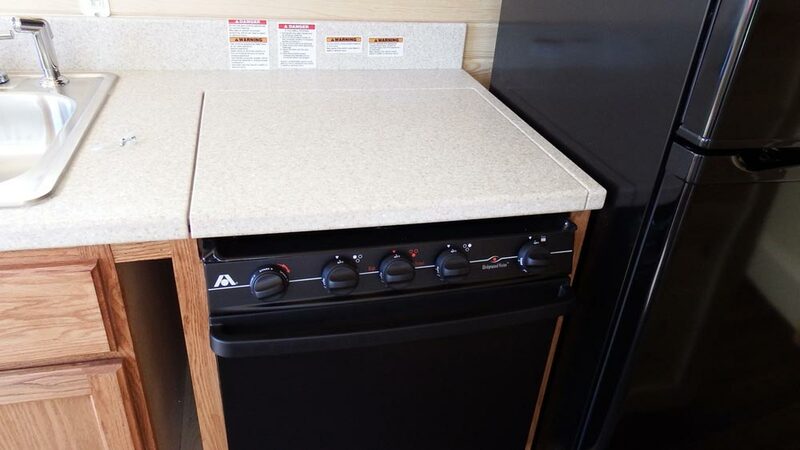 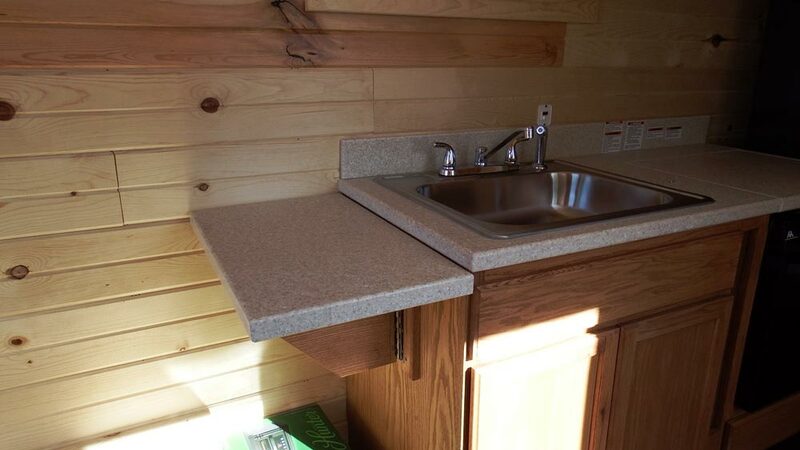 The tiny house also has an Atwood on-demand water heater and standard RV hookups.